Since the world first saw the MacBook Air, the laptop has been a hit. Apple never discontinued it even after they released the new and more advanced models because MacBook Air was always a success. As a rule, it was cheaper than other models because of the screen quality. Now the company has finally changed that. At last, the laptop got a Retina display. The modern technologies allow fitting a high-resolution screen in a small frame making the laptop look gorgeous. The company managed to put the 13.3-inch screen inside. The experience with the laptop is simply sensational because it?s very slim and impossibly light. It’s 10 percent thinner than the last model and weighs less than 3 lbs. Moreover, the users have plenty of color options to choose from. Space Gray, Silver, Gold and even Green colors are available. The green color is a bit unexpected one. The reason for it was the 100% recycled aluminum. This aluminum comes from recycled Apple products. The company has put a lot of attention and effort into the recycling trend encouraging people to recycle their gadgets. The Gold one is very beautiful and a little peachy. There is one more great advantage of the new MacBook Air. It’s well-connected. There are 2 USB-C sockets (unlike other even more expensive models with only 1 socket). Surely, it has a headphone jack. What people did not expect is to see the same keyboard as in MacBook Pro. This is the latest-generation keyboard. In addition, the laptop has a large trackpad which is very convenient on the go. 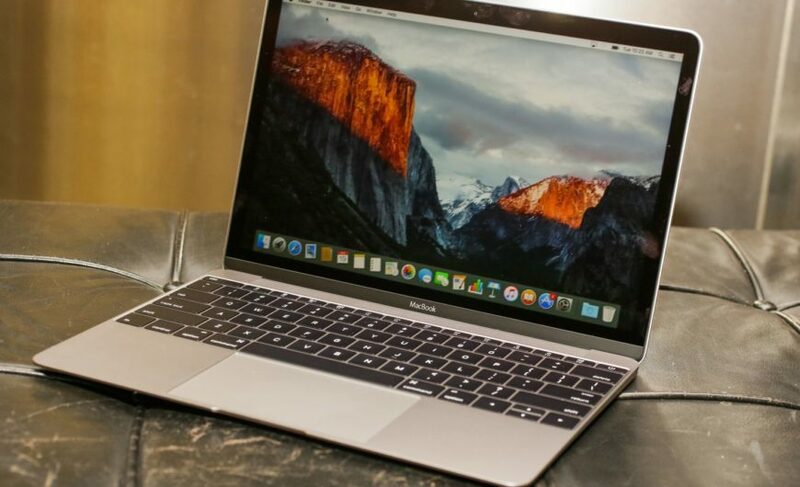 MacBook Air is cheaper but already has several vivid advantages over the rest of laptops. It’s also powerful enough to handle Siri and has a Touch ID. With all these improvements the company managed to make an all-day lasting battery allowing the users to surf the Internet for 12 hours. This is the feature that made the laptop stand out from the rest of MacBooks. If you are looking for a MacBook, the most affordable is MacBook Air. If you are really tight on budget, the previous year model is still available for $999. MacBook is the Apple laptop designed for people who value portability more than anything else. That’s why every model is so thin, compact, and yet powerful.